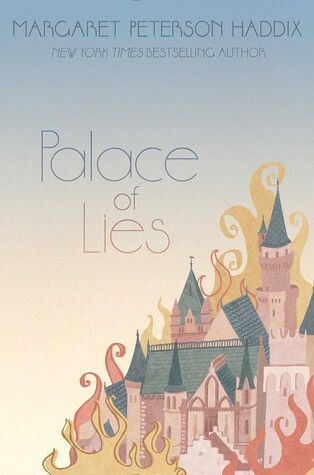 About the Book: Desmia discovers the reality of royalty is far from a fairy tale in this third adventure set in the Cinderella-esque world of Just Ellaand Palace of Mirrors, from New York Times bestselling author Margaret Peterson Haddix. About the Author: Margaret Peterson Haddix grew up on a farm near Washington Court House, Ohio. She graduated from Miami University (of Ohio) with degrees in English/journalism, English/creative writing and history. Before her first book was published, she worked as a newspaper copy editor in Fort Wayne, Indiana; a newspaper reporter in Indianapolis; and a community college instructor and freelance writer in Danville, Illinois. Do I Recommend this book? Yes? Notes and Opinions: It's actually been quite some time since I've read this series...like maaaany years. I had to go borrow both the first and second books from the library because I couldn't really remember anything from it (duh I read Just Ella in middle school). This book was dramatic and adventurous all in one. I feel like instead of being it's own book (or a sequel) it just tries to reexplain any plot points form then previous books. But other than that, it was a quick read (other than having to reread the first two) and pretty interesting but not my favorite.